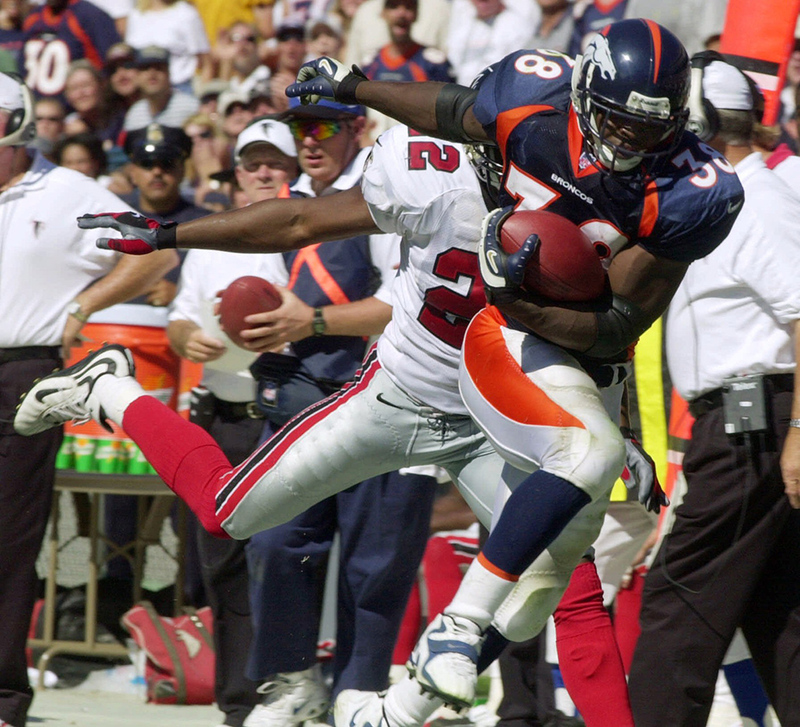 Denver Broncos rookie running back Mike Anderson (38) races down the sideline on a 20-yard touchdown run as Atlanta Falcons safety Gerald McBurrows (22) fails to catch him in the second quarter Sunday, Sept. 10, 2000, in Denver. Anderson rushed for 187 yards. The Broncos begin their final season of play at Mile High Stadium with a 42-14 win over Atlanta before a crowd of 75,466 in the home opener.